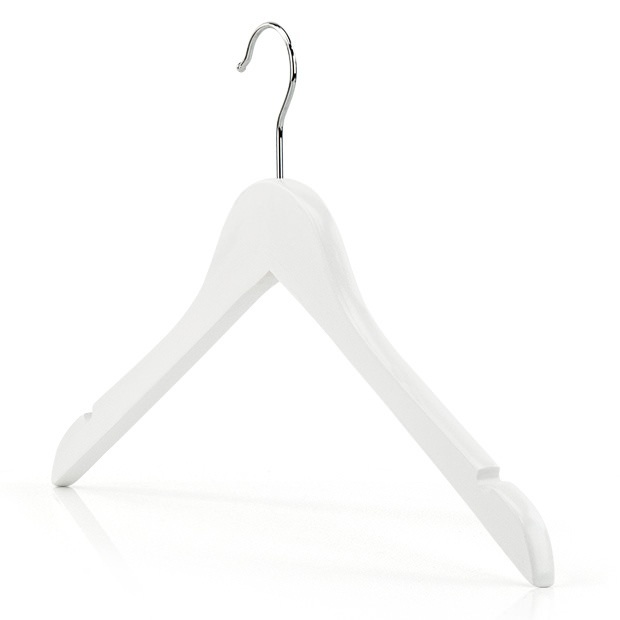 Quality top hangers, manufactured from strong maple wood, with a brilliant white finish, for a fresh, contemporary appearance. The smooth surface prevents your clothes from being snagged, which causes loose threads, and spurs garment deterioration. Slim, space-saving profile will minimise wardrobe clutter at home but also makes the hanger ideal for retail outlets where rail space is valuable. Shoulder notches allow you to effortlessly hang clothes that have garment loops & straps, without them slipping off. Finished with a smooth, 360°, chromed swivel hook that compliments the wood, but also allows the hanger to be positioned in any direction, which is useful for displaying and aligning clothes both at home and in a retail setting. Perfect for hanging shirts, blouses, tops, dresses, jackets, coats, jumpers, and skirts. Made from durable maple wood. Smooth, brilliant white matt finish. Suitable for domestic & commercial use. Great product with fast delivery with text updates! Great company to shop with!